This Lake Geneva lakefront vacant building site represents one of the best water front values available on the market at this time. 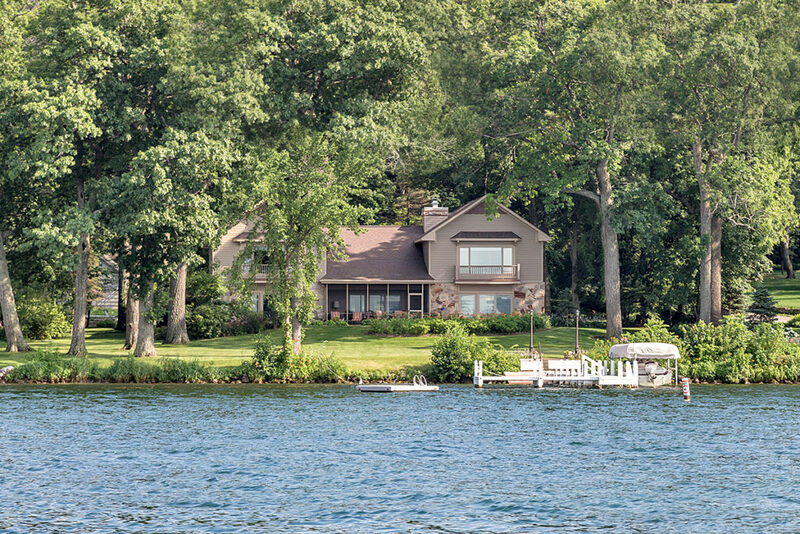 With an amazing 300’ of lake frontage, the per front foot value calculates out to $11,500. A recent sale on Lake Geneva in January of 2019 with a home scheduled to be torn down closed at over $25,000 per front foot indicating just what a remarkable opportunity this offering represents. The wooded 2 acre site shares a driveway with the historic Black Point Estate and Gardens allowing for the opportunity to enjoy all the splendor and rich heritage of that beautifully maintained Lake Geneva landmark as you enter and exit the property. The wooded and gently sloping building site offers an abundance of level frontage all along the water’s edge. Check it out today. 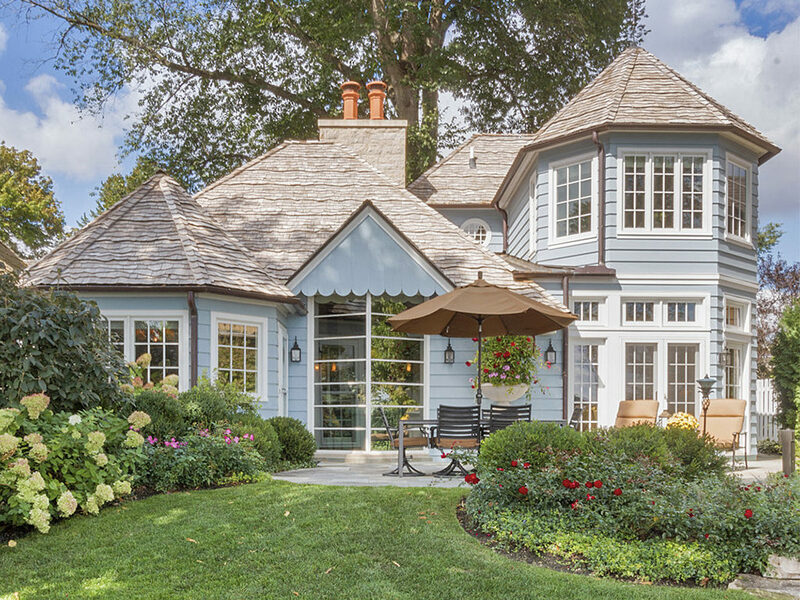 This remarkable Lake Geneva lakefront home offers a rare combination of intriguing style and architecture and is being offered in absolute immaculate condition inside and out. The flexible open floor plan offers a variety of options for areas to entertain family and guests with up to 4 bedrooms and 3 full baths. The beautiful kitchen was designed and completed by Lowell Management, a warm and inviting living room is accented by hand hewn wood beams and outstanding views of the extensive outdoor landscaping and the lake. This is truly a home that requires an in person visit to take in the charm and character and appreciate the extraordinary and painstaking efforts taken by the current owners. Ideal level frontage. Nothing has been left to the imagination to consider improving or upgrading. This highly desirable vacant land building site is located at the end of a quiet street on a cul-de-sac with impressive homes built nearby. The property is served by water and sewer and although it’s located in the Village of Walworth it is located just half a mile from the Fontana Village limits and Big Foot County Club and is just over a mile away from Geneva Lake. If you’re looking for a great place to build a home in the Geneva Lakes Area and want the convenience and benefits of being in town with water and sewer services but are after a more peaceful and tranquil setting with a feeling of being in the country, check this one out. Nice level topography and located next door and adjacent to the wooded conservancy area with an abundance of birds and wildlife nearby. This spacious 4 bedroom, 3.5 bath home is located in the Brookwood Association in Fontana with a bright and open updated kitchen, center island with granite counters and a delightful screen porch for summertime meals and entertaining. 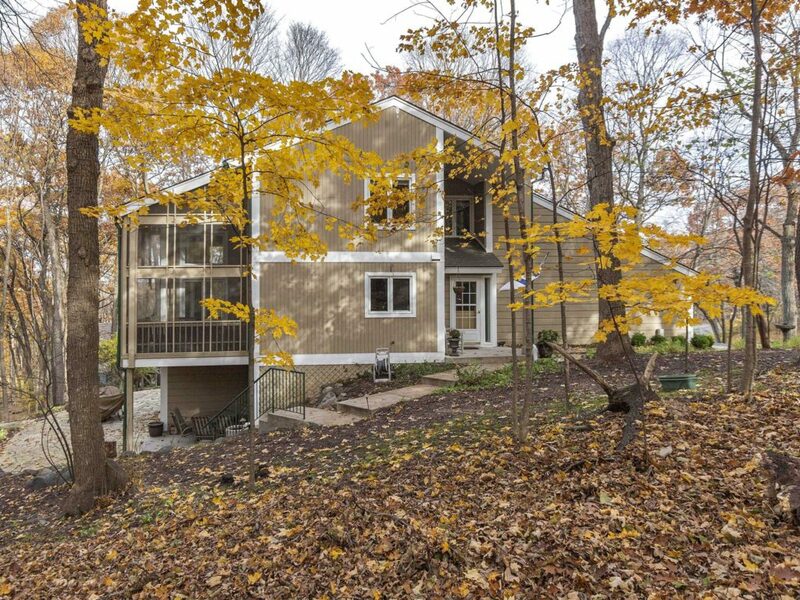 The two-story high living room and adjacent deck take full advantage of the impressive views of the very scenic and beautifully wooded back yard. A finished walkout lower level has equally impressive views from the family room and a secluded bedroom suite with private bath. The oversized garage will accommodate 2 cars plus a 3rd space for potential boat storage. Brookwood is a golf cart friendly community offering exceptional lake access to Geneva Lake with a beautiful lakefront park and pier area for its members. Spacious South Shore Delavan lakefront with 5 bedrooms, 3 baths and ideal level lake frontage. Impressive master bedroom suite with cathedral ceiling, fireplace, a striking master bath and outstanding views of the lake. The Great Room offers an open kitchen and dining room concept, fireplace and a main floor bedroom and bath. A walkout lower level with family room, fireplace, wet bar entertainment area, two bedrooms and adjacent screen porch overlooking the lake. A separate “Sleeping Lounge” for the kids is located over the garage and offers an additional 3 bedrooms and full bath. The attached 2.5 car heated garage is accented by a huge driveway offering plenty of parking for family and guests and an additional detached two car garage is perfect for additional toy storage. Check it out! 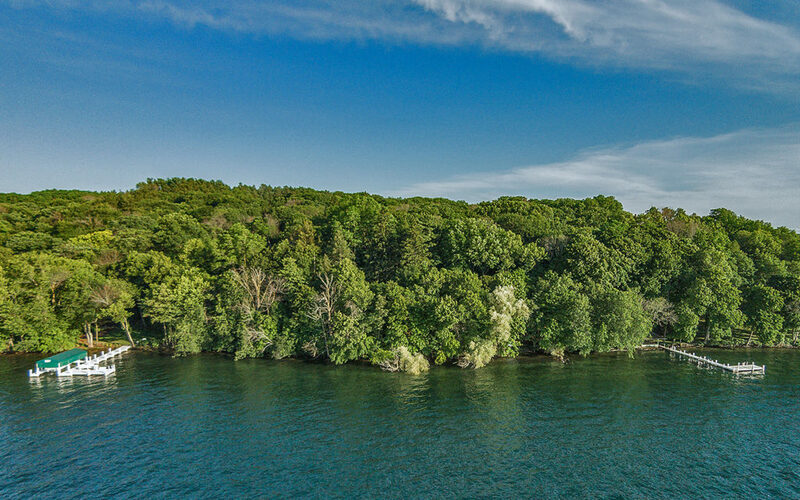 Delavan Lakefront with 110′ of lake frontage and just over 2 acres of grounds located on the South Shore in an area of very impressive and attractive neighboring properties. There is an existing modest main home that is usable in its present condition, but would be a perfect candidate for a potential remodel or renovation project. An adjoining Coach House is located on a separate tax key parcel that is also usable in its present condition but if removed, would enhance the appeal and desirability of the overall potential building site. A lakeside boathouse offers ideal toy storage with an expansive deck area on top for entertaining. 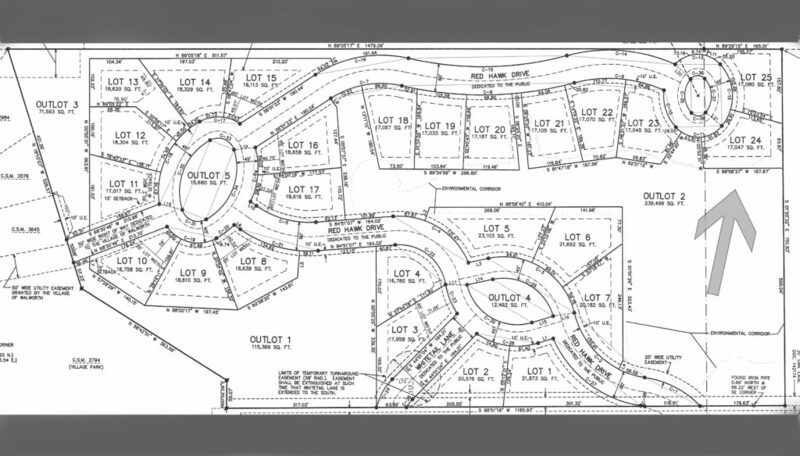 The property and spacious grounds would also be a perfect setting and location for a beautiful new construction home on a fabulous estate type setting. 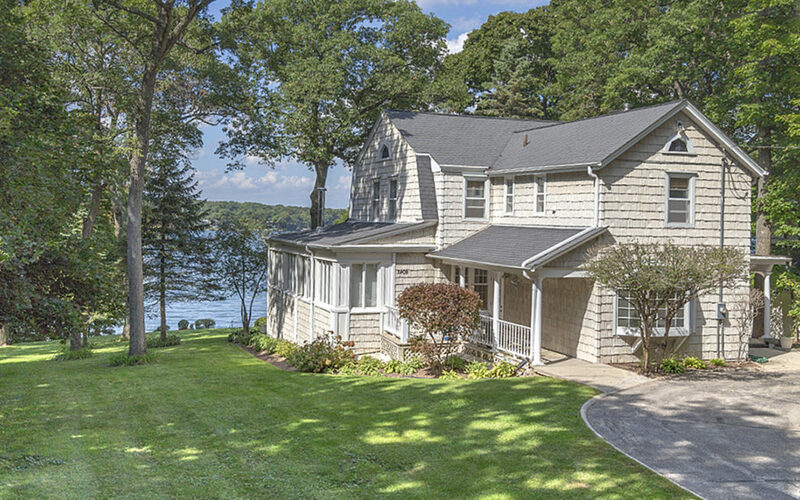 The location of this Lake Geneva lakefront home on prestigious Basswood Drive on the South Shore of the lake is hard to beat. Located on just over 2 acres of beautifully wooded grounds and 150’ of ideal level lake frontage, it offers a charming winding driveway entrance in to the home and fabulous panoramic views of the lake. 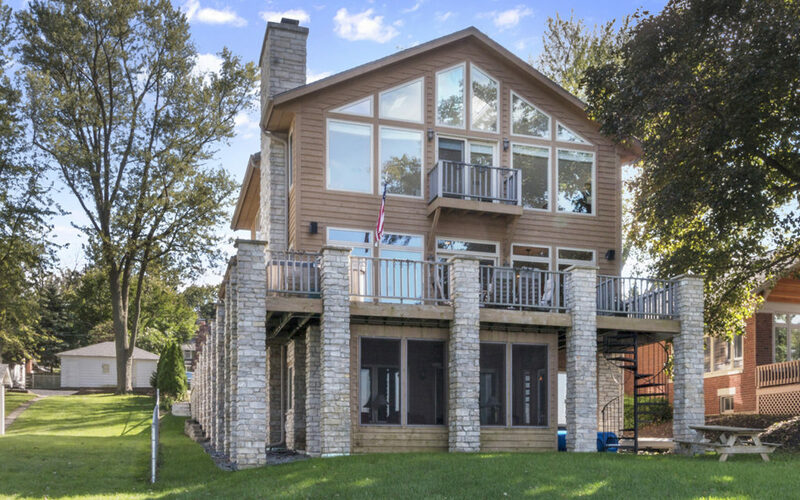 The home has been tastefully updated with a modern kitchen and baths and presently offers comfortable Lake Geneva waterfront living in its current condition with 6 spacious bedroom suites and 6.5 baths. It would also be a perfect candidate for a remodel or renovation project, as well as a place to start over fresh with a new home construction project, as has been done with many of the neighboring homes in recent years along this scenic section off South Shore Drive. This “AA” Abbey Harbor Dockominium Boat Slip is conveniently located on the South wall of the beautiful newly renovated Harbor and is the largest size available with dimensions of 14’ x 44’ overall. Enjoy all the amenities and conveniences including the new ”Commodore’s Corner” that contains a refreshment bar area and restrooms and the outdoor pool located conveniently adjacent to the Abbey Harbor House with restrooms and shower facilities. The condo association fee does include electric and water and the “AA” size slips will accommodate the floating style boat lifts to keep the boat above the water line when not in use. 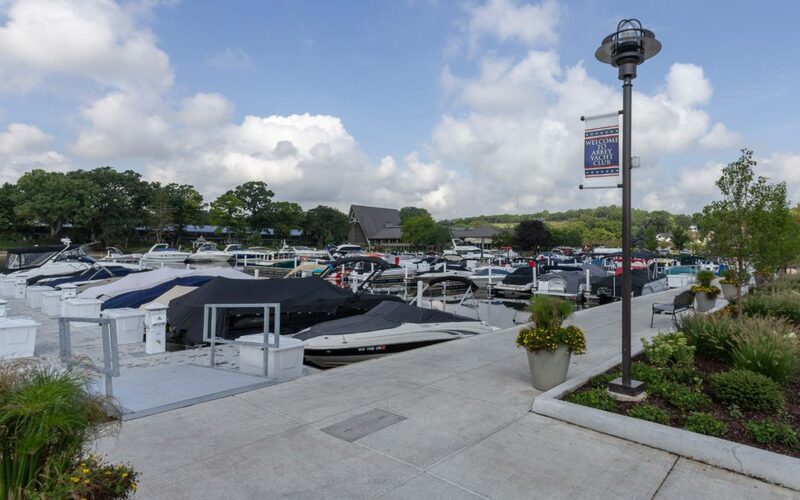 This location near the entrance into the Harbor assures easy access in and out of the Harbor and offers parking from a second gated parking area off Shabbona Drive. Downtown Lake Geneva will be offering free skating in Flat Iron Park this winter. The rink has been installed and the plan weather permitting is to fill it on December 18th or 19th. Once filled, it will need 4-5 days to freeze and will then be open to the public. A limited number of skate rentals will be available through Clear Water Outdoor in downtown Lake Geneva. Flat Iron Park is located across the street from The Cove. The Grand Geneva Resort offers ice skating under the outdoor pavilion near the golf shop 7 days a week. The rink is only available to Non-Resort guests Monday-Thursday. The fee for non-guests to skate is $5.00 if you have your own skates, or you can rent skates in the golf shop. The rink is available to resort guests for free if you have your own skates. Skate rental fees are $8.00 for the first hour and $3.00 for each additional hour. The Geneva Ridge Resort has constructed their Outdoor Skating Rink again this year which will be beautifully lit and fully operational in January 2019. Everyone is invited to come out and enjoy it! Skating is free to the public and the rink is open 10:00 a.m. to 10:00 p.m. for your skating enjoyment. The resort has positioned outdoor fire pits around the rink to help keep you warm. If you don’t have skates, no worries, you can rent them inside the resort for just $5.00. 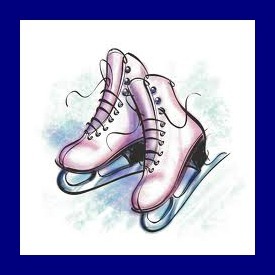 All skaters are asked to sign a waiver, so even if you aren’t renting skates, please stop in the lobby before using the rink. Coffee, hot chocolate and seasonal concessions are also available inside the hotel at bean + vine coffee and wine bar. The Geneva Ridge Resort is located at W4240 State Hwy. 50 just 3 miles west of Lake Geneva. For additional information and updates on rink conditions, please contact the Resort at 1-262-249-3800. The Abbey Resort in Fontana offers public skating on their rink near the Harbor Patio. Skate rentals are complimentary for resort guests and $2.00 for non-resort guests. The rink is open when weather permits. We suggest you call ahead. Rotary Park in Walworth is another option, with lighted 2 rinks, a warming hut and indoor bathrooms. Big Foot Rec Dept. offers ice skating lessons and youth hockey at the rink and Wednesday night offers Adult pick-up hockey games from 6:30 p.m. to 7:30 p.m. Skating is open to the public and is free. The rink is located at 611 Casey Lane in Walworth. Lots of options out there, so if you are a skating enthusiast, head out and enjoy all the opportunities that await you. Do you love the Hallmark movies, where someone is always enjoying a sleigh ride? Well, here’s your chance to experience a horse-drawn sleigh ride in your own community. 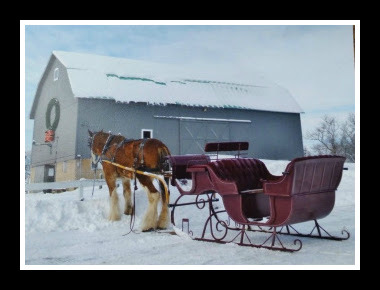 The Dan Patch Stables are offering sleigh rides through the beautiful grounds of the Grand Geneva Resort 7 days a week from 10:00 a.m. to 4:00 p.m.
Sleigh Rides are snow condition and weather permitting (they prefer that there be 6-8 inches of snow on the ground), so we suggest you call ahead. Reservations are required, and the stables suggest you book ahead, as their schedule fills quickly particularly on the weekends. The sleigh will comfortably hold 4 adults or a family. Cost is $60. The Dan Patch Stables are located at 7020 Grand Geneva Way on the grounds of the Grand Geneva Resort.